Plant Based "Meats" Need a New Name. There is a big branding opportunity for someone — renaming plant based meats. It has to happen, it’s just a matter of time. 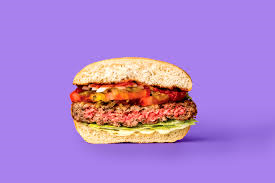 Impossible Foods and Beyond Meat had an opportunity, but blew it. The Impossible Burger is a good product name, but a company? Not so much. No Evil Foods also took a stab, but missed. The big opportunity is to Xerox or Q-Tip the category. To create a word that encompasses plant-based meats and creates a meat aesthetic without using the word meat, which is and ever shall be animal-based. I understand why comparing oneself to meat is a strategy, but it’s a near term strategy. This category needs a taxon. Readers of Whats’s The Idea? know I often use an Is-Does litmus for good naming. What a brand Is and what a brand Does. First movers to identify a new category claim the throne. The growth of the plant-based meat-like market is close to hockey sticking…but still in search of a category-defining brand name. Let’s get to work.